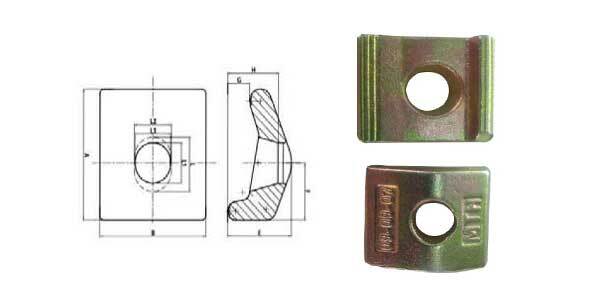 Rail clamp, also called rail clip or rail fixing clip, is a device that used to maintain the lateral position of the rail, especially crane rail, but allow necessary longitudinal movement. 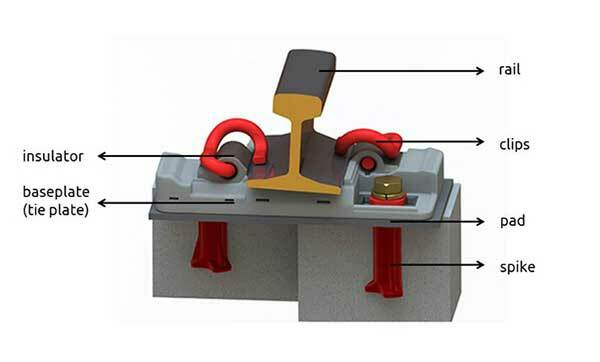 In rail fastening system, the rail clamp secures the rail in position through mechanical lock, in the meantime, accepts the rail longitudinal rail movement through the combined vulcanized-bonded synthetic elastomeric nose. 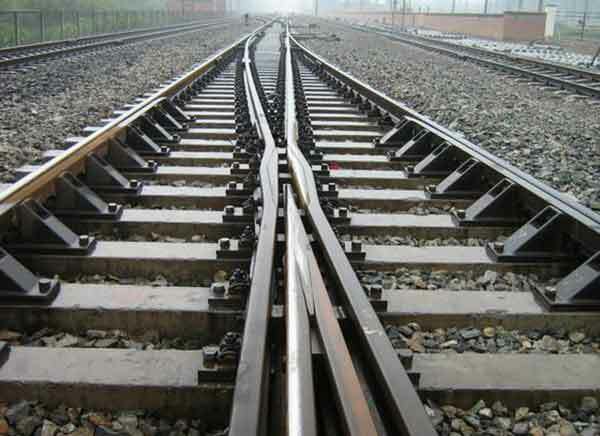 In general, rail clamps are always fastened onto the rail sleepers with anchors bolts. For types, boltable rail clamps and weldable rail clamps are the main varieties. 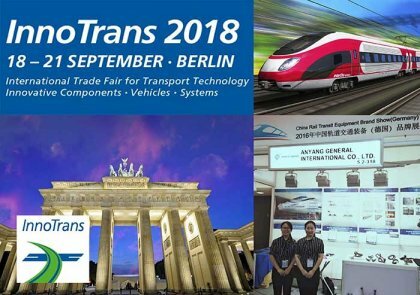 As a professional manufacturer of rail fastenings, AGICO dedicates to produce high quality rail clams for railroad construction. Rail clamps from AGICO can be well used in the acid rain area owing to protection level over 9. Before leaving factory, all the clamps need to pass the 120h test of sulfur dioxide. 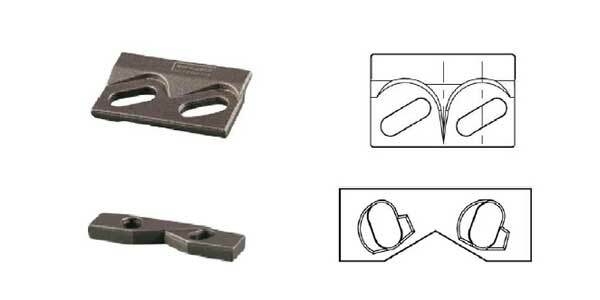 A large range of rail clamps which widely applied in railroad construction around the world for its top class and durability have been provided. AGICO uses high grade steel and other materials to manufacture rail clamps with high quality and all of them are conform to the parameter of industry and market demands. We can produce various types of rail clamps to meet customers’ requirements, no matter for railway line, subway or crane rails. 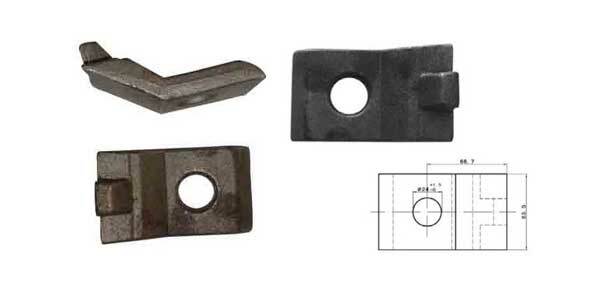 According to years of production experience, we apply Q235 by forging, ZG35 of cast steel and QT500-7-cast iron as the materials of rail clamps. Crane clamps can keep the installed rails with good tolerances, with them adjustable to ensure the rails’ precise alignment. Our crane clamps are designed to carry the heavy load which cranes transfer to the rails. For installation methods, it can be bolted or welded, just according to the end users’ needs. Gantrail rail clamps of self locking are a special designed to secure and fix the rails with a rubber nose. 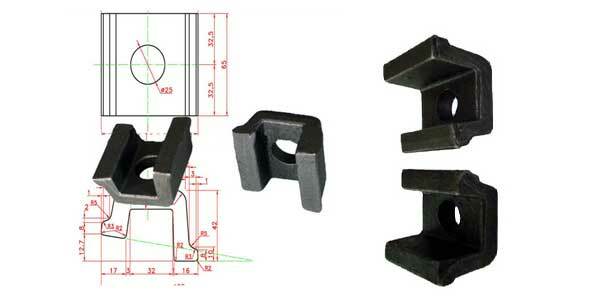 This type of rail clamp can be used in different types of rails through adjusting the height of the rubber nose. 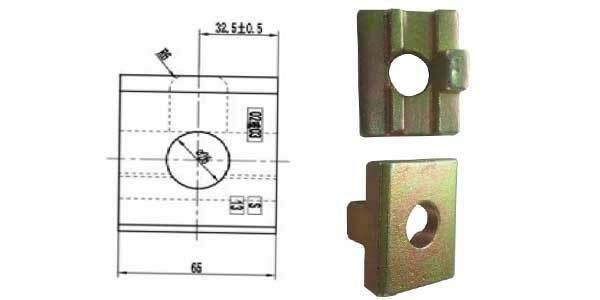 KPO rail clamps, is a kind of boltable rail clip with high strength. 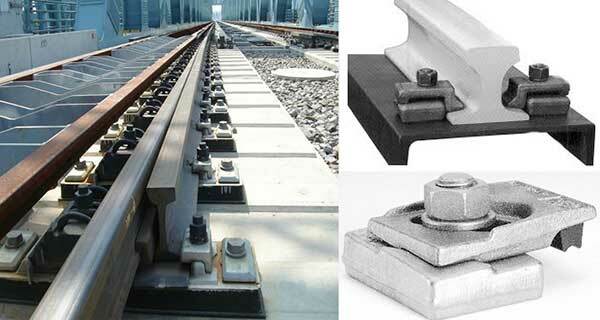 KPO3, KPO6, KPO9 are the most widely used types in rail fastening systems. They function together with ribbed tie plates, rail bolts and washers. 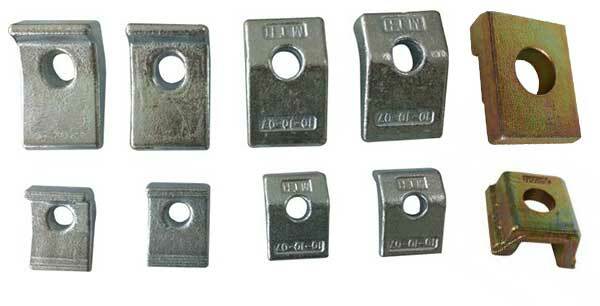 Such rail clamps are widely used for rail lines or cranes in North Africa. 7. 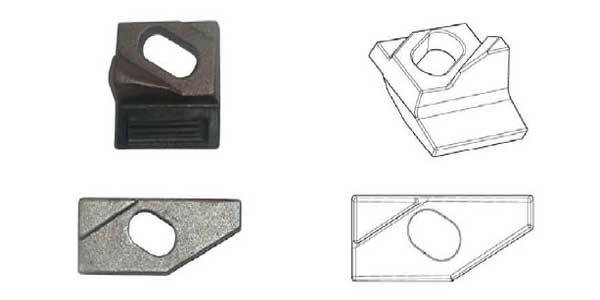 Other types of rail clamps depending on customers’ requirements or drawings. How many types of railway turnouts there are?